The Premier League match that we'll most likely be betting on on Sunday August 19th kicks-off at 1:30pm at Etihad Stadium when Manchester City take on Huddersfield Town. To assist betting on the game, we've got British Bookmakers best odds for Man City v Huddersfield, a preview of the match, and the betting offers and price boosts you can use. Check out the best odds that bookmakers offer for a Man City win (H), a win for Huddersfield (A), or a draw (D) below. Use the ALL ODDS tab to view more bookmakers odds. NB: Bookmakers best odds for Man City v Huddersfield correct at the time this match preview went live and are subject to change. Last updated: 08:32 on 18/08/2018. As well as bookmakers best odds, we've also listed the betting offers and price boosts that you can use on Sunday's Premier League match between Man City and Huddersfield. Man City v Huddersfield is also set to be broadcast live on SkySports at 1.30pm on Sunday. 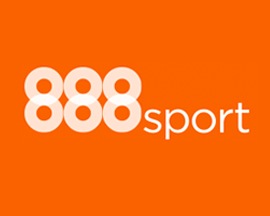 Signup at 888sport using promo '10FREE' and bet £10 on any market you want and you'll get £30 in free bets and a £10 free bet to use on Man City v Huddersfield. 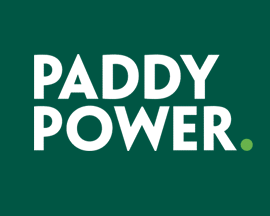 Signup with PaddyPower today and bet £20 on Man City v Huddersfield and if you don't win your bet, they'll refund your original £20 stake - in cash! Pep Guardiola's Man City side welcome Huddersfield to the Etihad Stadium on Sunday, when David Wagner’s men will attempt to secure their first victory against Man City in 19 years! Man City are without a doubt the firm favourites to win this one with British Bookmakers, and you’ll find most offering pretty short odds on Sunday’s hosts beating Huddersfield Town. The last time Man City met Huddersfield in the Premier League, the match ended in a draw however Man City won the previous clash, while Huddersfield haven’t beaten City since 1999. These 2 teams haven’t played each other that often over the past few years, and of the last 5 times they’ve met, 3 of the fixtures resulted in draws with City winning the other 2. It’s no surprise that bookmakers offer last seasons Champions as favourites to beat Huddersfield, and unless they have a disaster on the day, Man City should get all 3 points. Man City have finished in the top 4 for the past 8 seasons, and as one of the strongest teams in the competition, they're rightly the odds on favourite to win the competition again this season. Guardiola hasn’t made too many changes to the squad after last season’s success, and Man City proved how well they play together with their 2-0 victory over Arsenal last week. Sterling and Silva got the goals that ensured that Man City took all 3 points from their first match. Guardiola doesn’t have any major injury worries ahead of the Huddersfield fixture. The only player he could potentially be without is David Silva, who also missed the Arsenal clash, but his fitness is being monitored and he may just be back in time for Sunday’s game. Man City have the potential to get some serious numbers on the board early on this season, as they face some of the lower ranked teams in their early fixtures. If they can win all of these matches, they’ll be a major threat this season, unfortunately for Huddersfield they may just be one of the teams that gives City another 3 points! David Wagner’s Huddersfield side will have an extremely tough match when they take on Man City this weekend at the Etihad Stadium in Manchester. It’s been a very long time since they beat Man City, and they really could have done with an easier opponent after the 3-0 defeat to Chelsea at home in their opening fixture. Huddersfield only returned to the Premier League competition last season, and just barely missed being relegated again, after they finished in 16th place and 4 points clear of relegation. Unfortunately they face some tough teams early on, but if they can even hold Man City to a draw, they’ll be in a better position heading into their next few matches. Luckily Danny Williams is the only player ruled out of Sunday’s clash due to an ankle injury, and it looks like Wagner may have virtually a full squad to choose from. It’s not going to be an easy match for Huddersfield, and chances are they won’t be able to overcome a powerful Man City side that's looking to defend last seasons trophy. Guardiola's team are definitely the stronger heading into this fixture, and we'd suggest backing them to win as every bookmaker offers them as firm favourites for Sunday’s clash. Man City and Huddersfield have played each other a total of 78 times with Man City currently having the upper hand having won 26 times, compared to Huddersfield's 22 wins. The last Premier League fixture between these two sides occurred on the 6th of May earlier this year at Etihad Stadium when the match ended in a goalless draw. The last 6 league matches involving both teams resulted in 2 wins for Man City, 2 for Huddersfield and 2 draws. 2 fixtures were Premier League matches and 4 were in Division 1. The last match where Man City beat Huddersfield in the Premier League was on the 26th of November in 2017 when they came away from John Smith's Stadium with a 2-1 win. Man City actually scored all of the goals during the match, with Otamendi scoring an own goal in the 45th minute before goals from Agüero and Sterling won the march for Man City. The last match were Huddersfield beat Man City was a League Division 1 match on the 27th of November in 1999 when the came away from Maine Road with a 1-0 win. The biggest win that Man City have ever had over Huddersfield was an FA Cup match on the 1st of March in 2017 when they won 5-1 at the Etihad Stadium in Manchester. A couple of goals from Sergio Agüero (1 a penalty) and single goals from Leroy Sané, Pablo Zabaleta and Kelechi Iheanacho killed the match after Harry Bunn's opener for Huddersfield. The highest score that Huddersfield have ever beaten Man City by was also a 5-1 win, this time in a League Division 1 match on the 22nd of August back in 1951. Looking at the last 6 fixtures that Man City have played in all competitions, they've won 4, lost 2 and drawn 0, scoring a total of 9 goals (1.5 goal a game) and conceding a total of 5 goals. Huddersfield's record over their last 6 matches is won 3, drawn 1 and lost 2. They've scored the same number of goals as Man City, 9 in total (1.5 goals per game) and conceded more (6).